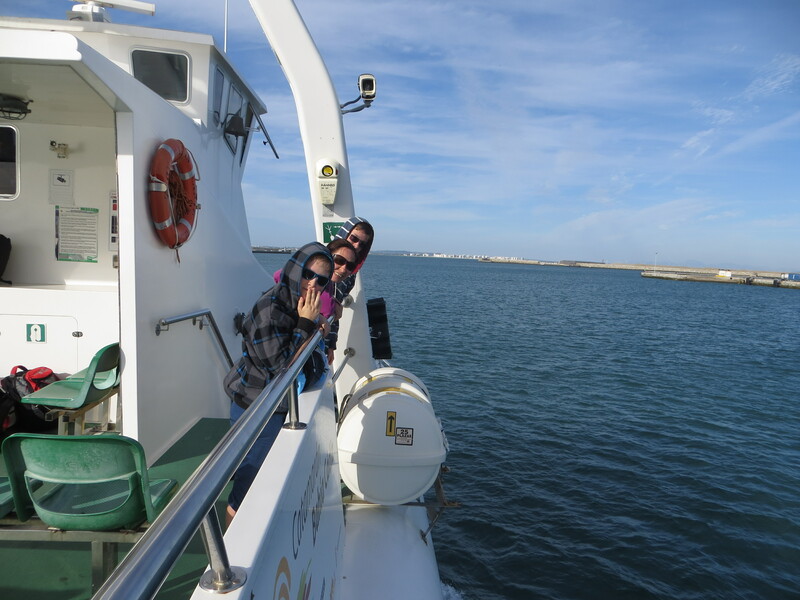 We had 1 month in Rota Spain. When we first arrived I wasn’t so sure, the bus from the ferry terminal seemed to take us around the not so nice streets, our airbnb accommodation was a little out of town, and on our first walk into the old town there was no one around, no one sitting at the tables and chairs outside the cute street side cafe’s, we wandered around past 5 O`Clock and things still didn’t seem like they were opening up. It really felt like we needed to see people to breath some life into the place. After a few days of walking around Rota’s old town and getting a proper feel of the Rota Ambience we started to love where we were, especially if you went out and about after 10pm, you really got that buzzy feeling I missed from the beginning, the wonderful smell of food, locals and tourists enjoying a drink from one of the many tapas bars. The Spanish really embrace this time of night because the temperature is perfect, the heat still rising from the ground, and whilst the mums and dads are in the bars socialising the kids are playing football or tag on the streets outside, laughter/noise everywhere, it’s a enjoyable fun culture shock. As Rota has a huge Military base, you often heard the fighter jets and cargo planes going over head, or you could watch the huge Navel ships out in the ocean, along with the massive Cruise liners leaving Cadiz. We did worry before arriving into Rota that having a huge American Military base would mean everyone would speak English and we wouldn’t get to practice our Spanish, but this wasn’t the case, there was certainly your fair share of American accent’s around the place but the vast majority were Spanish locals. Our favourite thing about Rota was definitely the beach, it was huge, unspoilt, not busy at all, surrounded by small grassy sand dunes, the waves kept our boys entertained for hours, was a good afternoon PE lesson for them :). We did a day trip to Seville (read more by clicking on link), which was incredible, totally fell in Love with the city, decided to book a night there before our next destination. We also did a day trip to Cadiz, we arrived just after the huge Caribbean cruise, so the town was heaving with tourists, the cafe’s in the square were buzzing, and I strangely kind of liked it, the weather was perfect, the little alleyways tall and narrow like Seville, the cafe smells the excited chatter from all the tourists it rubbed off on me..I loved Cadiz, we went for a long walk along the fort (that was in the famous Hale Berry scene from the James Bond Movie `Die Another Day’.). The Beach was gorgeous, lots of little rock pools everywhere, crystal clear waters, groups of school kids jumping/diving by the fort, we said that we would go back for another day trip and take our togs but we didn’t get around to it, but have said that we will certainly go back and stay in Cadiz next time. We were lucky enough to be in Rota for the Spring Feria,(Rota Feria de Primavera) this went on for the whole week pretty much, all the ladies and little girls dressed in stunning flamenco dresses, tons of tents where each evening was filled to the brim with people dancing, there was a huge fair full of rides, tents with flamenco competitions, horse and carts taking people for rides, it was like we had stepped into old time Spain or like we were at a Spanish wedding party and we were totally welcomed. We tried going every day to see what was going on. The boys loved the bumper cars and I loved all the different flamenco dresses, the mothers and their little girls wore the same design/colour it looked so sweet. When we were leaving the fair at 11pm the Spanish were just arriving, the partying went on until early hours whilst Grant worked and we slept. Airbnb Accommodation = Cost us NZ$1326 (around 600 pounds for just over a month), Apartment had 2 bedrooms, a living area, kitchen and a little outside area. Was about a 20 min walk into the old town and about a 5 min walk to the Beach. Sticking with Airbnb and staying 1 month at a time really helps as it cuts down all the travelling costs plus you get a real feel for a place. We do weekly shops and pretty much only eat out on some Friday’s, Saturdays and when doing a day trip somewhere. We take drinking water with us when wandering around town, we do stop for a cold lemonade or Ice Cream as well.. Apparently Rota is also the place where more festivals are celebrated than in any other town in Spain (Carnival, Easter, Fallas, fairs and pilgrimages). Rota has been populated since the Bronze Age (as seen in the necropolis found there), but as a town it was founded by the Phoenicians. Subsequently it passed into Roman hand and then to the Moors who made the town a fortress to defend against normannic attacks. Due to its strategic location in the Bay of Cadiz (still today there is a Naval Base), Rota has been fought for heavily during history.